The Monroe Chamber of Commerce will be hosting two workshops Wednesday, March 15 at First National Bank (1625 10th Street) to discuss best practices for success during construction. The workshops will have identical content and will be held from 7:30-9 am and 5-6:30 pm. Pick the time that works best for you. This will be an interactive workshop designed for all west side Chamber members impacted by 8th Street reconstruction. The bulk of the meeting time will be spent planning ways businesses can work TOGETHER to retain (and perhaps grow) their customer base. 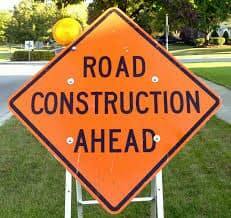 Early business planning strategies to ready your business for the street construction season. What to expect when construction begins. Survival tips to make it through construction. ▫ How to retain your customer base during difficult times. ▫ Communication, staying on message, staying positive and using creative promotion and business strategies. Post-construction ideas to get you back on track. As a business owner, it is up to you to plan ahead, be proactive and possibly make short-term adjustments to maintain your core customer base and lessen the impact of road construction. Through communication and cooperation, your business will not only succeed during construction, but it will emerge better equipped to capitalize on opportunities the improved road provides. Keep in mind businesses 2-3 blocks out from 8th Street will be affected by alternate traffic routes. We encourage ALL west side businesses in the area between 6th Street and 11th Street to attend one of these workshops.